The line features designs that are elegant, sophisticated and pure yet also raw, edgy and full of conflict. Pearls are one of the most classic fashion elements and they have been amongst the cornerstones of jewelry since humans started to first wear finery. With Pearly King BUKKEHAVE seeks to explore this ancient material with a modern, contemporary approach. 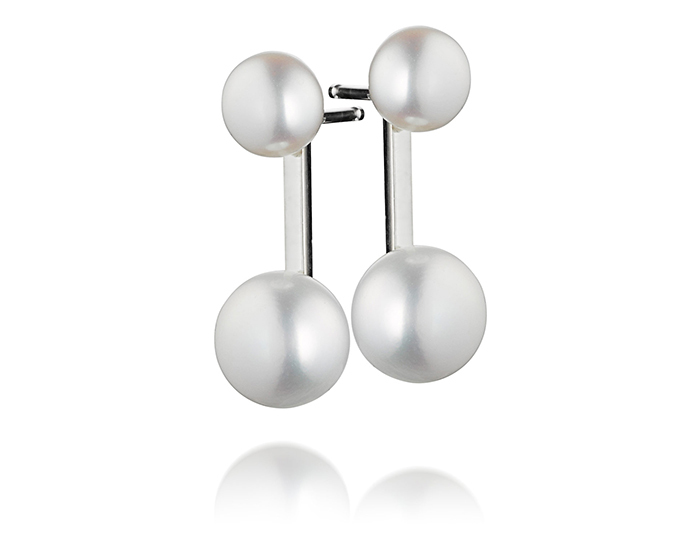 By combining beautiful pearls with various forms of polished silver and mother of pearl BUKKEHAVE has achieved a cool and strict look that ems of Scandinavia and the great reaches of the northern regions.